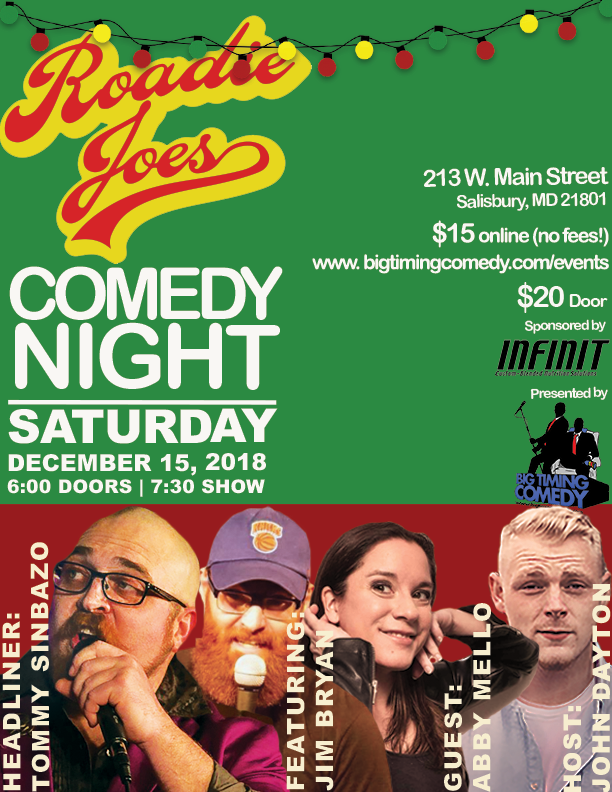 Part 4 of 4 2018 Fall Comedy Night Series! Doors at 6PM, Showtime 7:30PM! Jim is the creator and host of Church of Satire. He's been performing stand up comedy since 2002. He's performed at Gotham, Carolines on Broadway, Greenwich Village Comedy Club, The Metropolitan Room, Planet Hollywood Las Vegas, countless bars, and other venues throughout the country. He is an author, motivational speaker, and now he lives on a farm in PA with his wife and kids. Abby is a Baltimore stand-up comic who has performed all over the region. In addition to hosting and performing at comedy clubs (and lots and lots of bars), she co-produces a monthly all-women comedy showcase, The Clitorati Presents...Lip Service. Abby’s relatable content is largely autobiographical - aimed at finding the funny in everyday life. Her comedic style draws from her experience as an educator and social science researcher. A moderately famous comic once described her comedy as, “feminine, vulnerable, and not taking sh*t from anyone”. A Tinder date once described her as, “someone who expects people to listen when she talks”. There was not a second date. Abby has a 4.3 on rate-my-professor and is a 5-star Lyft passenger. Space is limited so get your tickets online as our shows DO sell out!